Denzel Washington is a legend among actors. He’s basically the best, and we can all agree on that. Well, turns out, Drake also loves Denzel, and he committed to showing that love in the most permanent of ways: by inking it onto his body. Yep, Drake has a Denzel Washington tattoo. Apparently, Denzel had heard that Drake had a tattoo of his face, but it’s unclear if he’d ever seen it until now. He was shown the image on Jimmy Fallon’s show, and, uh, took it pretty evenly, all things considered! Jimmy showed Denzel a photo of the tattoo based off his own visage, and he seemed fine with it, if curious. Drake is no stranger to getting tattoo tributes to celebrities he loves. (Although we heard Celine Dion wasn’t too hyped about the idea.) It’s probably less of a big deal to the rapper, considering that Drake’s got lots of tattoos and is constantly adding to his collection. In any case, Denzel is pretty chill about the whole thing. He doesn’t seem to be too freaked out, which is pretty impressive. In fact, he mentions that he’d already heard Drake gets tattoos of people he admires quite often! Instead of being weirded out, he’s taking it as a compliment. Which is kind of sweet because we’re sure that’s how Drake means it when he gets a celeb’s face inked onto his body. Denzel Washington did have some questions about Drake’s tattoo, though. They’re not sure exactly which part of the rapper’s body Denzel’s face rests upon. An investigation is called to order. 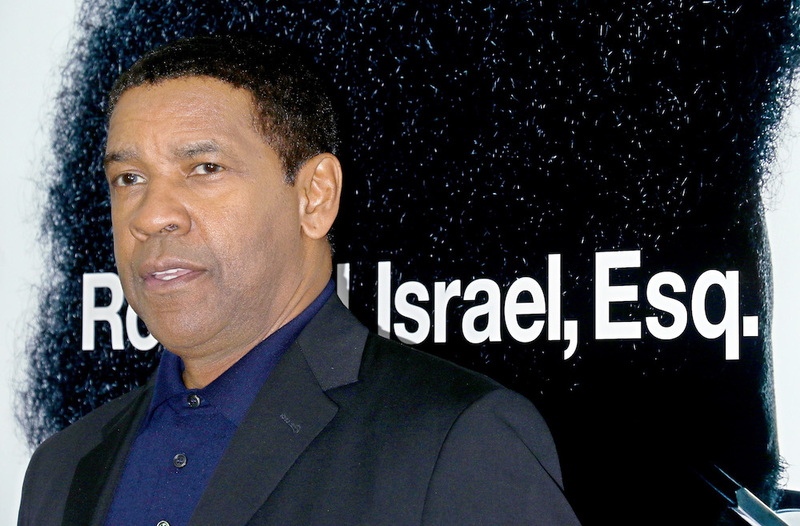 Denzel Washington's reaction to Drake's Denzel Washington tattoo: "That's crazy." Meanwhile, Jimmy Fallon has high hopes for his own Drake tattoo placement. Watch the clip to see the whole exchange for yourself. We love it so much, we kind of want to get a tattoo of this moment. And based on his reaction here, we doubt Denzel would mind.